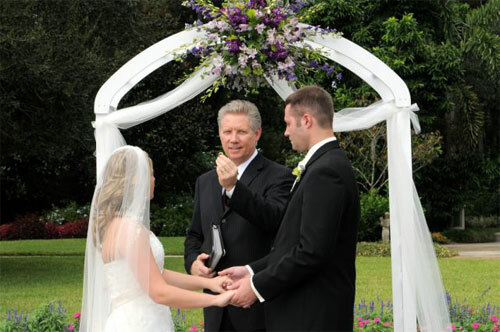 As Wedding Officants we believe that your ceremony is one of the most important events of your wedding celebration! That’s why we developed the “Ceremony Planning Kit!” It is designed to help you make your customized ceremony. Do you want a religious, civil or romantic emphasis, or some of all? 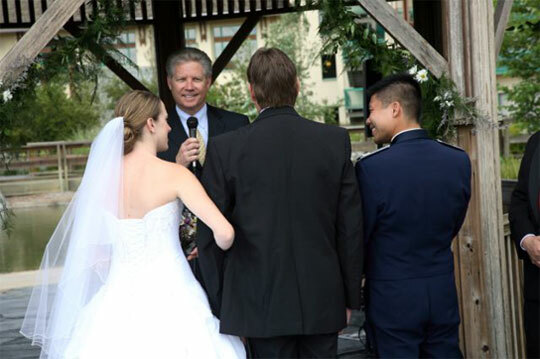 Do you like traditional or contemporary worded vows? How long do you want your ceremony to last? Do you want to write your own vows? Did you want some ideas on how to make your ceremony special, unique and personal? The “Ceremony Planning Kit” will help you answer these questions and more. Your might want to add something unique to your ceremony. Maybe you’ll want to use the “Blessing of the Hands” or ” Wine & Love Letter Box ” options. While most everyone has seen the beautiful Unity Candle ceremony, few have seen the “Blessing of the Hands” or “The Wine & Love Letter Box” options. Your guests will love them too! Our “Ceremony Planning Kit” is specially designed to give you everything you need to design your own personalized ceremony. We wanted to put together something that would make it easier for couples to create their own personalized ceremony. The Ceremony Planning Kit will be sent Free to all couples who retain our wedding services. If you’d like to purchase a copy it is available in MS-Word format for only $14.95. Click here to make your purchase using any major credit card or debit card and download instructions will be sent to you via email.